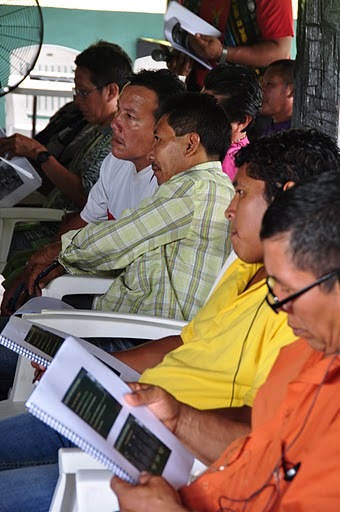 As EDF’s Amazon Basin Project coordinator, I spend much of my time working in Latin America with our non-governmental allies to discuss REDD+ (Reducing Emissions from Deforestation and forest Degradation) with indigenous groups. REDD+ has come so far since conceived two decades ago; the general framework has been approved by the United Nations, and now countries will be spending time in the UN meetings hammering out the details at the international level. In the meantime, EDF is partnering with groups like the Coordinating Body of the Amazon Basin Indigenous Peoples (COICA), the Amazon Institute for Environmental Research (IPAM), and U.S.-based Woods Hole Research Center (WHRC) to help tropical rainforest countries and local governments with preparing for REDD+ policies to go into effect – what’s called “REDD+ Readiness.” (Read about our REDD+ training workshops in Ecuador). Suriname is a densely forested country that’s home to one of the most diverse ecosystems in the world, and for its size one of the most ethnically diverse in the world. 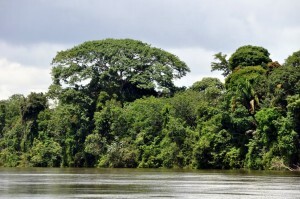 Its topical forests, which cover most of the country, and biodiversity stand to benefit greatly from REDD+ policies as the country faces a growing interest in logging, mining, and new development, which would further contribute to the country’s deforestation and threaten the forests’ biodiversity. Suriname is also a young country – having only gained independence from The Netherlands in 1975, it still has many basic issues to work through before REDD+ could be implemented. 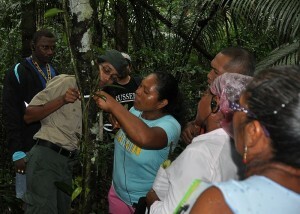 These REDD+ training workshops are typically conducted by non-governmental organizations and attended by a number of indigenous group leaders, but this one was unique: for the full five-day workshop, the Surinamese government participated side-by-side with the indigenous leaders to learn the most effective ways to preserve the country’s forests. During the workshop, various government officials presented how their respective ministries are developing policies related to REDD+. The government officials’ involvement is important because policy development for the REDD+ programs requires a great deal of collaboration between indigenous groups, who will be most affected by the policies, and the government, which is designing the policies. It’s a common problem in REDD+ countries for the government and indigenous groups to have only limited dialogue, so the earlier these conversations take place in Suriname’s REDD+ process, the more constructive the conversations will be. A big challenge facing Suriname that is also a basic tenet for any potentially successful REDD+ program is determining the country’s laws on ownership of land and resources. There are still many areas of the country and indigenous groups that lack “titles” to their lands, which means indigenous groups don’t have official ownership of the land they’re living on, and consequently don’t have the legal ability to decide whether potential deforestation activities such as logging and natural resource extraction can happen. Indigenous groups are pushing for full ownership rights for REDD+ activities, which would allow the groups to reap the benefits of activities they choose to allow on their land. Since the government is still in the process of determining how to address the land-titling, the workshop sparked spirited discussions between the indigenous leaders and government officials, addressing both sides of the challenges of determining the land-titling. But by the workshop’s end, the indigenous groups understood very well that before REDD+ could work for them and their lands, the government first needed to determine their rights to their land and resources. Government interest in REDD+ finance can help indigenous groups win recognition of their land and resource rights when governments realize that these will be crucial to accessing REDD+ markets. Another potential way of addressing this issue is to define REDD+ as an “environmental service” and ensure that those providing the service, including indigenous communities, are the beneficiaries. A resolution for the land rights in Suriname (and thus full REDD+ policies) is likely still years away, but it’s critical for all parties to continue a constructive dialogue like this throughout the process. The recognition of rights and new dialogues and cooperation between governments and indigenous leaders will ensure successful REDD+ programs.